The Aladdin Colonial: Many Admirers! Dale knows more about Aladdin than anyone else in the world! 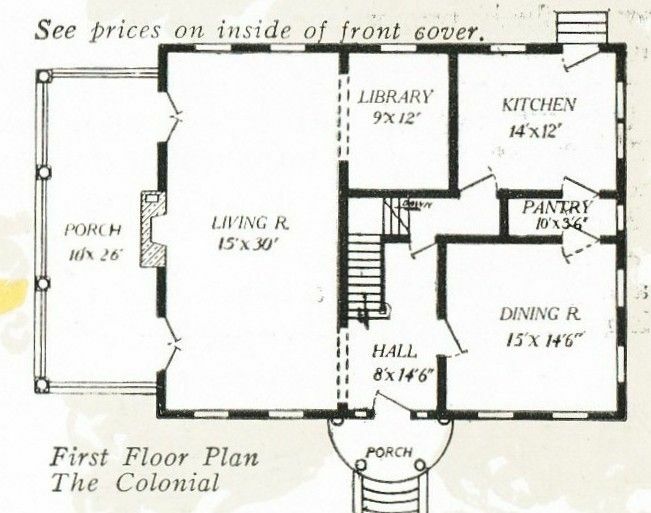 The Aladdin Colonial was touted as being a house “with many admirers” (see photo below). And I count myself as one of those many admirers! To learn more about Aladdin, click here. To read more about Dale, click here. 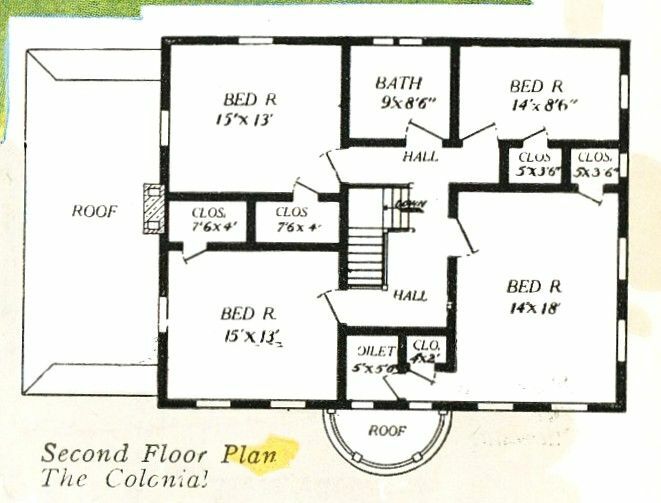 The Aladdin Colonial, in the 1920 catalog. The first floor featured a living room that was 15 by 30 feet. And in the back, there was room for a small library! Notice the butler's pantry. This was a fine home. 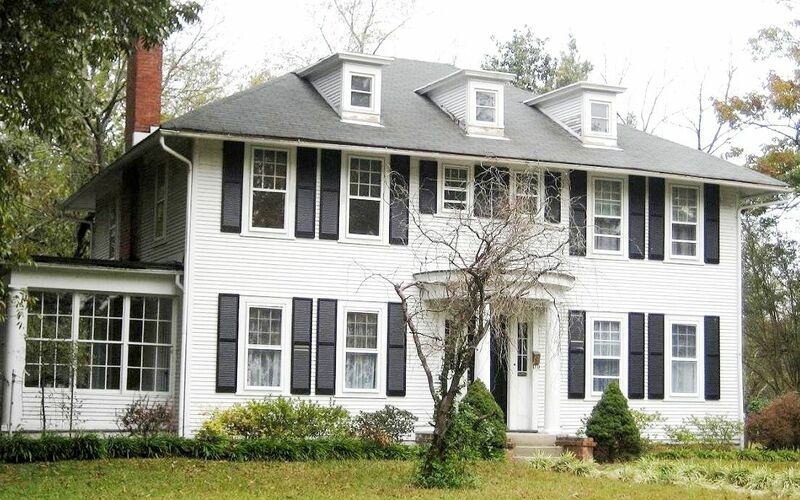 It was a big spacious house, with four spacious bedrooms and two baths upstairs. 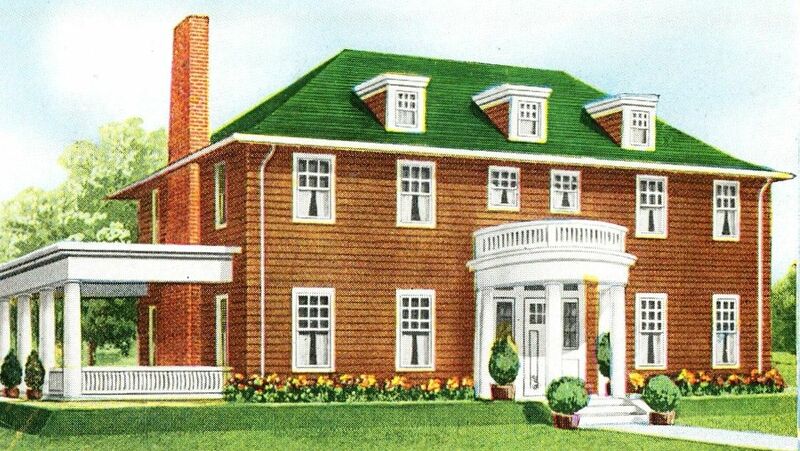 Here's the "big fancy Sears House" in Suffolk. In fact, it's an Aladdin kit home - the Colonial. 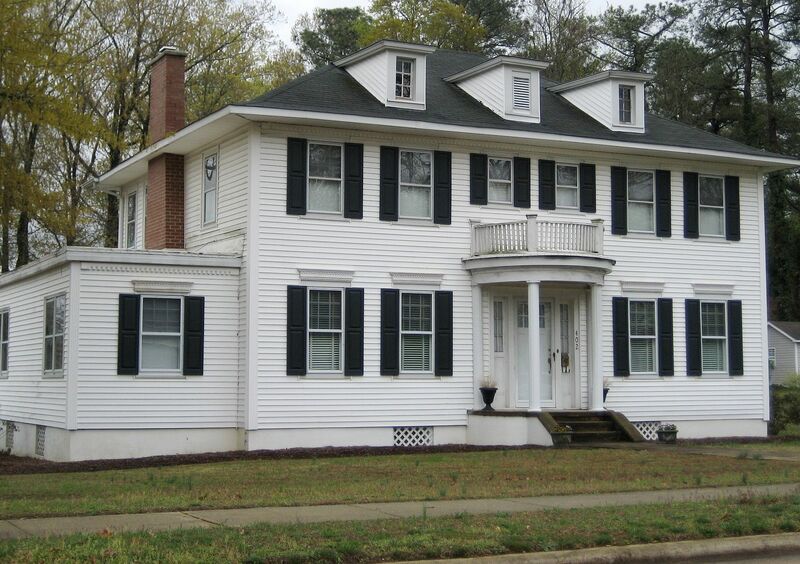 This "Colonial" is in Roanoke Rapids, NC. 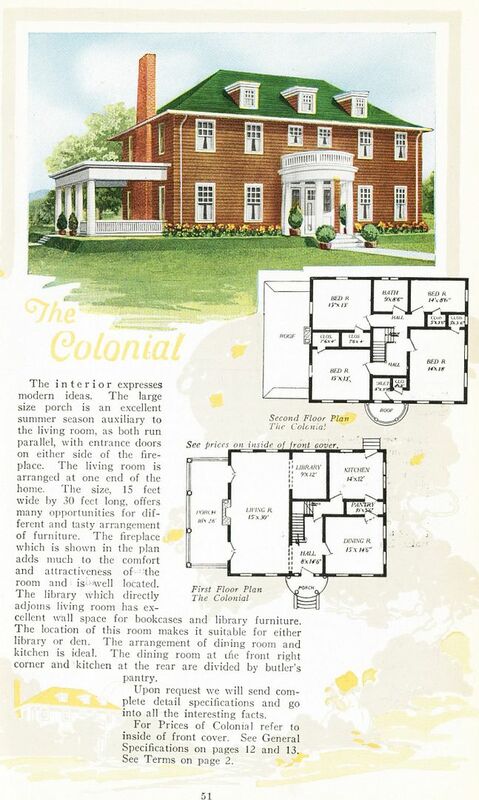 This Colonial was photographed by a Sears House aficionado, but sadly, I can't find her name amongst my many emails. 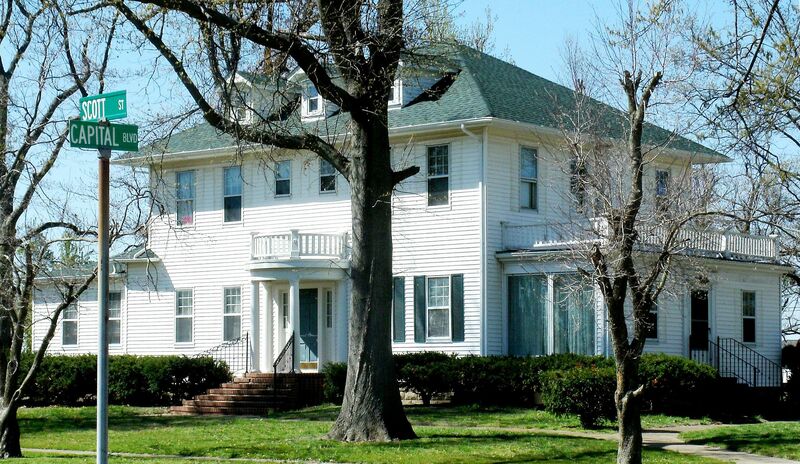 It's a beautiful house and a wonderful photo, and it's on the corner of Capital Blvd and Scott Street, in a city not too far from Cairo, IL but that's all I remember. 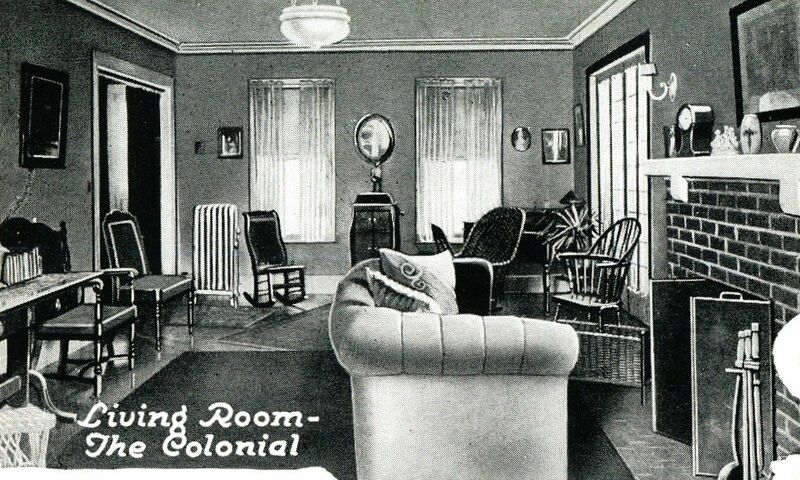 The 1920 catalog showed this "interior" shot of the Colonial living room. 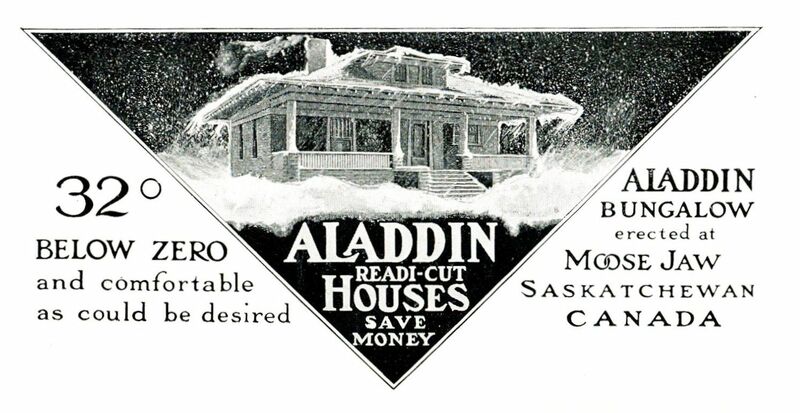 Aladdin actually started offering kit homes in 1906, two years before Sears Roebuck. And Aladdin persisted until 1981, a full 41 years beyond Sears. This is my favorite Aladdin advertisement. I just love this image (1914 catalog). 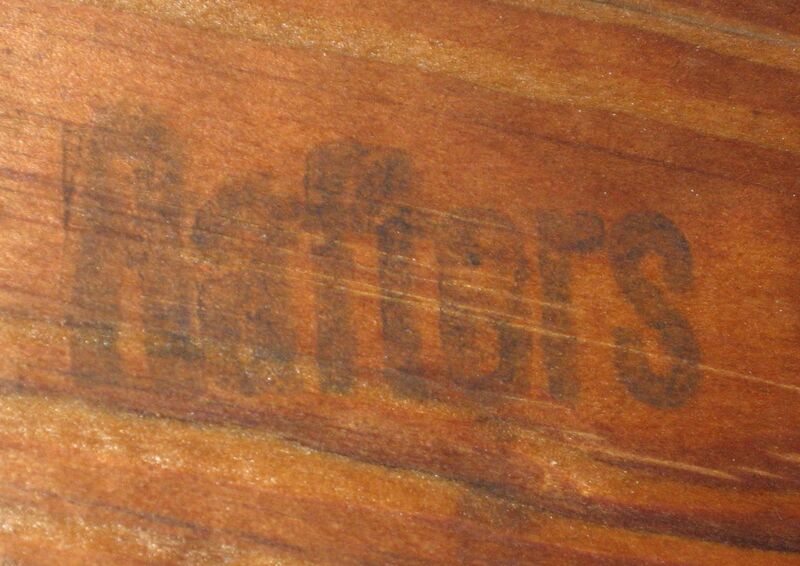 Sears Homes had a letter and three-digit number on their framing members, but Aladdin kit homes had words (as is shown here). This rafter is in a house in Roanoke Rapids, NC which has an abundance of Aladdin kit homes. To learn about the Aladdin kit homes in Roanoke Rapids, click here.